"The equine Giant's Causeway, named for an Irish national treasure, has himself become a treasure to the Thoroughbred industry." 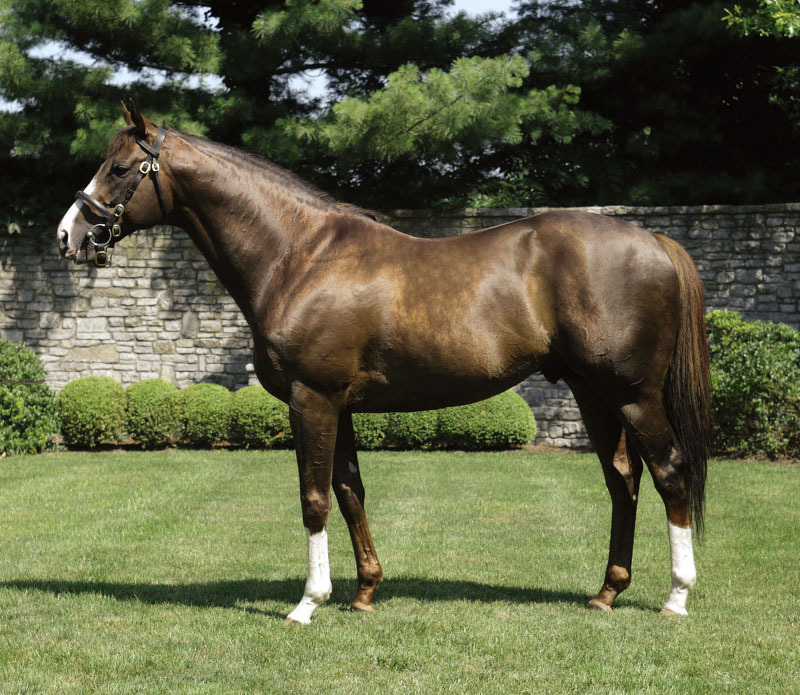 Horse of the Year GIANT’S CAUSEWAY is the best son of Storm Cat at stud. 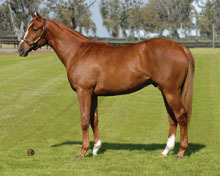 The Leading Sire of 2008, he was Champion Juvenile Sire with his second crop to race. He has also been North America’s leading sire of Grade/Group I winners and North America’s leading second crop sire With just four crops already racing, Giant’s Causeway has sired 41 stakes winners and earners of nearly $30,000,000. These include eight GI winners, on dirt and on turf. 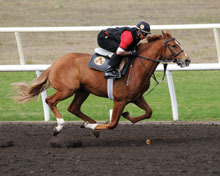 Giants Causeway has sired 23 Group or Graded stakes winners, and 15, or 65%, have Mr. Prospector on the dam’s side, including top North American handicap horse Heatseeker (Ire), winner of the 2008 Santa Anita H.-G1. This Giant’s Causeway colt is the first foal from DREAMERS GLORY, a Graded stakes mare by Horse of the Year Holy Bull. Dreamers Glory is a half sister to a Grade 2 stakes winner, and her half sister produced a multiple two-year-old stakes winner in 2007 by a son of Holy Bull.